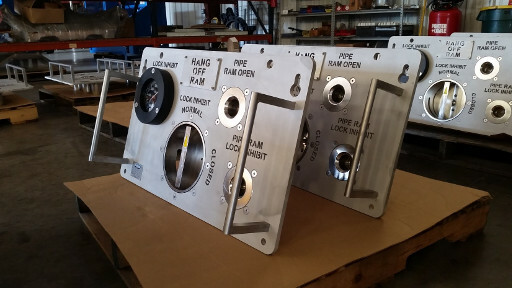 The Subsea Company delivers ROV panels to support major drilling contractors with BSEE requirements. The Subsea Company thrives on assisting customers with design details of critical high spec value equipment & systems quickly and cost effectively to meet and support the critical timelines of the offshore deepwater drilling industry. These panels were designed and delivered in a just a few weeks. Half inch water jet cut SS plate supports the robust design of valves, stabs and gauges required to meet the demands of the subsea environment. We design and build rig specific ROV panels for subsea stacks that not only meet the usual operational requirements but will also reduce control system downtime risk. With our significant subsea experience, we can provide solutions that are low cost and effective.